Yippee I have finally got my very first makeup from Sleek, it's Blush by 3. Blush by 3 is a trio shade blush palette that takes you effortlessly from day to night! Each palette has 3 ultra pigmented shades to choose from in matte and shimmer shades. Use the matte shades for a subtle day time flush, and add the shimmery shade over the top for a touch of night time glamour! With 5 different shaded palettes to choose from, your only dilemma is which one to pick! Choose from Pink Sprint, Pumpkin, Lace, Flame, or Sugar. I have picked the Lace one yay! It looks like a pack of chocolate to me from the packaging itself. When I opened up the box, I found the simple yet classic black blush palette inside. Can't wait to swatch all 3 of them. L to R: Crochet, Gulpure, Chantilly. I prefer Chantilly the most. Not sure would it last on my oily combination skin because am yet to try it on my skin. Hope could put it on my face by this week and share some updates later then. Designed and developed in the UK produced in Taiwan, Sleek Blush by 3 20g is selling at GBP 10 at http://www.sleekmakeup.com/ however it's currently out of stock > <" coz it is selling like hot cakes since it's launched. 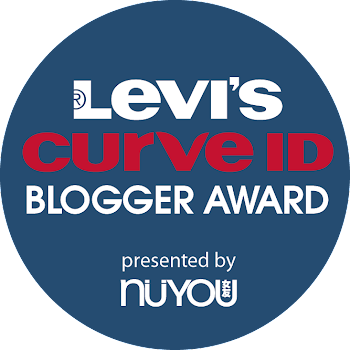 Levi's Curve ID Blogger Award - Vote for me Now!